When it comes to accommodations Florida Keys vacations can be more casual when staying at the inns in Key Largo and Tavernier. Below we've included detailed descriptions of the different Florida Keys Inns to help you decide which one would be best for your Florida Keys vacation. With so many options however, sometimes it's nice to find a Tavernier or Key Largo inn where you can just kick back and relax. No worries, no dressing up, just slow and easy - being yourself. Fancy resorts and large corporate hotels offer luxury and convenience, but sometimes you just need something else, like a Key Largo inn. For accommodations Florida Keys has different options. As long as they're clean, comfortable, well appointed and low key - that's all it takes to have a restful stay in paradise. 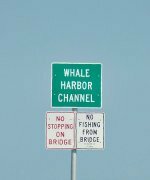 Key Largo and Tavernier, which abuts onto Islamorada make perfect choices. If any you find that any of the following accommodations Florida Keys has in Key Largo and Tavernier features amenities or a price for you, click on the Check Rates Button by the name for more details. This will take you to a TripAdvisor page where you can review comments and ratings. You'll also want to use the price checking widget found to the right of the Key Largo inn picture to check best deals. The TripAdvisor flight widget will also let you play around with dates, to find the best and cheapest airline tickets for your Florida Keys vacation. I'd also like to be forthright with you. TripAdvisor is an affiliate of mine and as such I stand to earn a small commission when referring you to them when you check rates or use the search widget below. This doesn't cost you more to do this, as this is what being an "affiliate" means. I've included a $ symbol legend as a quick at-a-glance guideline. However, the Key Largo accommodation price checking widget is my best recommendation. You'll be able to enter dates to find the cheapest rates. Then click SHOW PRICES to see which accommodations Key Largo has will be best for your Florida Keys vacation. Treat yourself to a restful stay at this classic and charming Inn close to Key Largo and Islamorada. Maintaining it's historic integrity, the newly renovated rooms also feature private baths, flat screen TV's with cable, free wireless internet and access to BBQ grill, and complimentary use of the washer and dryer. Enjoy terrific views of Florida Bay where you can swim, snorkel, dive, fish and kayak right from this Inn. Comfortable and designed to provide an affordable vacation experience guests will enjoy. This casual and clean floating Inn offers guests an affordable alternative to staying in Key Largo. Guests also enjoy full or partial bay views, and easy access to great fishing and diving. Each unit has it's own private entrance, kitchenette and bath. Units either have their own private balcony or patio to sit and enjoy the splendid view. Regarding accommodations Florida Keys vacations can have a nice change of pace when staying at a cozy Tavernier or Key Largo inn.